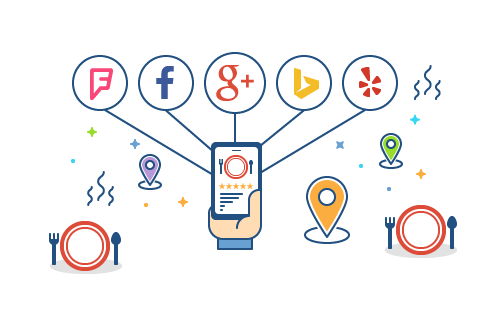 Review Ninja integrates with social media accounts and makes communication between businesses and consumers hassle-free and effective. Take control of customer interactions with tools that increase brand trust and exposure on popular review sites. 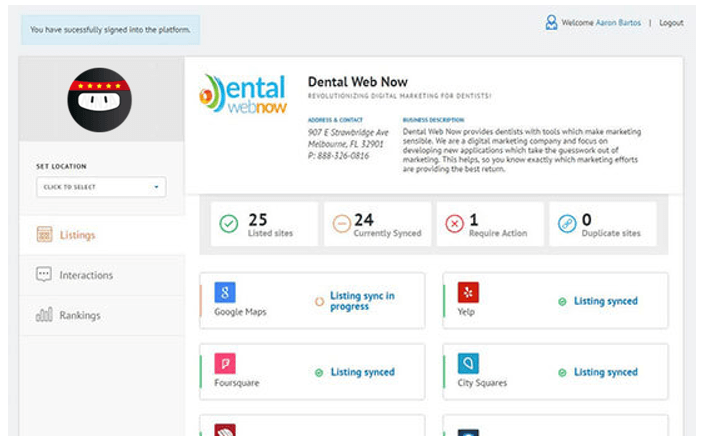 A simple, user-friendly dashboard provides real-time updates on listings, interactions, and rankings. 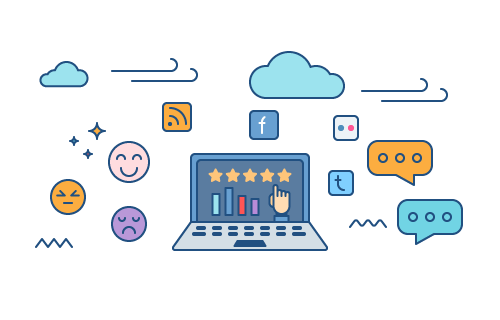 We help you to broadcast happy customer reviews across the internet by automatically directing those with positive things to say to the review sites that matter most. 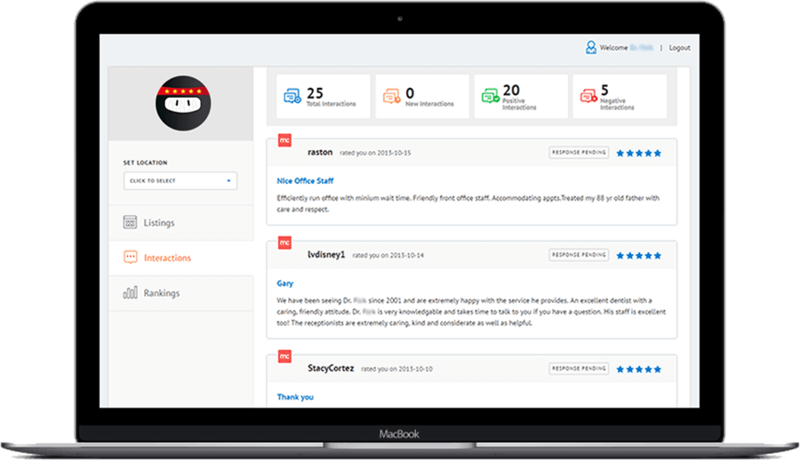 With Review Ninja, you get access to simple, user-friendly dashboards which provide you real-time updates on your listings, interactions, and rankings. 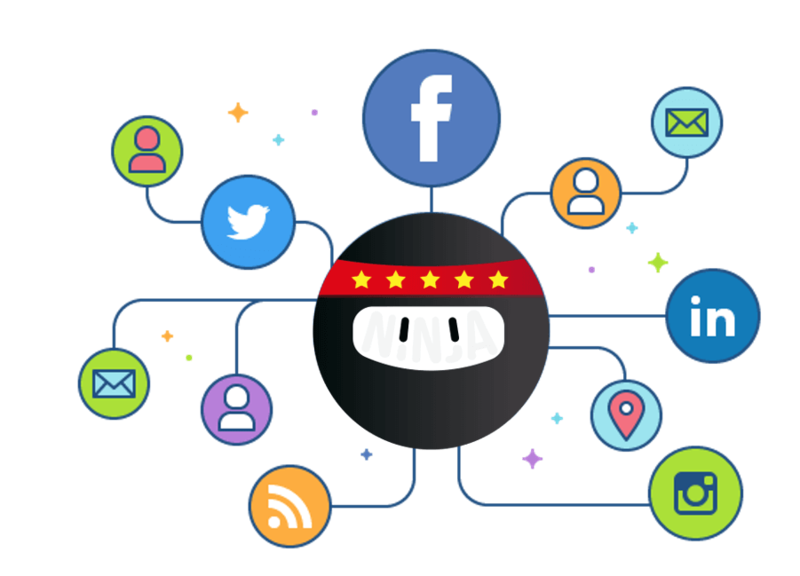 Review Ninja integrates with your social media accounts. View all interactions in a single dashboard and be able to respond to your clients in a timely (not time-consuming) manner. Your dashboard will provide you with a quick, but insightful, overview of how people reallly think about you and your business. Broadcast happy customer reviews across the internet. 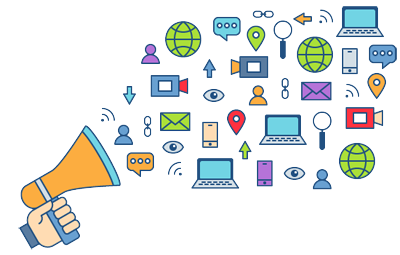 With our reputation software we automatically direct customers with positive things to say about your business to the review sites that matter most. People love to recommend their favorite restaurants but often forget or don’t think to write a review. Review Ninja makes it easy and fast for customers to give you 5 stars.